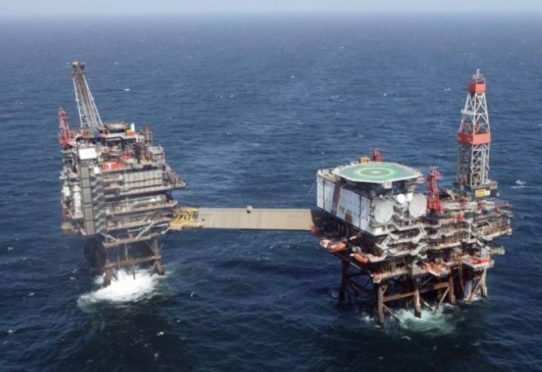 Workers on three North Sea platforms have gone on strike in a row over offshore rotas and wages. Union Unite said its members started the 24-hour strike on Monday at 6am on Total E&P’s Alwyn, Dunbar and Elgin platforms. Unite regional officer John Boland said: “We can confirm that the strike action on Alwyn, Dunbar and Elgin platforms has gone ahead as planned. “Production has been stopped and the wells have been shut. The industrial action is the first of five planned stoppages and coincides with a continous overtime ban. Further 24-hour strikes are planned for August 6 and 20 with twelve-hour walkouts on July 30 and August 13. The union said the dispute centres on a wage review and plans to move workers to a three weeks on three weeks off rota, involving an extra week offshore. Total E&P said it wants to introduce a uniform rota system which will bring staff in line with workers on their recently acquired Maersk Oil installations. A Total E&P spokeswoman said the strikes have gone ahead despite it making new proposals. Meanwhile, members of a second union working for Aker Solutions on the Mariner platform have voted to strike in row on payments and expenses. GMB members on the North Sea oil rig voted by 78% in favour of strike action, in a ballot with 79% turnout. The announcement follows Unite members on the platform voting on Friday in favour of striking. The workers rejected a final pay, terms and conditions offer by management. Ross Murdoch, GMB National Officer, called on Aker Solutions to engage with union representatives to find a resolution. He said: “GMB members have now let their feelings be known to Aker Solutions. An Aker Solutions spokesman confirmed the vote, adding: “This is a disappointing development following the presentation of an enhancement to terms and conditions worth up to £8,000 per employee. te is the largest trade union in the UK and Ireland with around 1.42 million members across 20 different private, public and voluntary sectors including manufacturing, public services, transport, food, finance and construction. Have a voice, take action and make change happen. Join the union today! Joining the union could not be easier. Just follow our simple steps below. Complete the Join Online form or download a membership form. Complete the simple form with your personal information and current job details, if applicable. If you are happy with monthly fee, you can complete the Direct Debit and activate your membership right away. You’ll receive an email telling you how to gain access to the My Unite portal. A membership pack will follow in the post which will include your Unite membership number. Contribution rates – Unite offers different types of membership. There’s one to suit your needs. 10 good reasons to join Unite – why Unite is the right union for you. Member services – find out more about the wide range of services offered to members. Unite the union today (Friday 20 July) confirmed that members working for Aker Solutions on the Statoil Mariner Oil Platform have voted for industrial action. 83.4 % of Unite members on a 80.1% turnout rejected a final pay, terms and conditions offer made by Aker management. Around 200 workers are involved in the prospective industrial action which is likely to take place between early August to early October. An overtime ban will also be in place during this period. The dispute centers on a collective grievance raised by Unite members in relation to standby payments from recruitment until mobilisation, turn beds payments and training expenses. An agreement with Unite regarding payment from turnable beds was broken by Aker along with training expenses not being paid by the company as per the Offshore Contractors Association (OCA) agreement. On 14 May 2018, a final offer by company management was made to the workforce inclusive of £1,500 per person payment instead of standby allowance and a bonus payment of £6,500 per person. The offer was rejected by 86 per cent of Unite members on an 85 per cent turnout. For more information contact John Boland on 07918 630435. Unite announce strike days on Total’s oil and gas offshore platformsThe overwhelming vote in favour of strike action demonstrates the fury at Total’s proposals to impose changes to the working practices and conditions on its three platforms. Total’s oil and gas platforms face shutdown as Unite members vote to strikeMembers of Unite, the UK’s largest union, employed by Total E&P working on North Sea oil and gas platforms are set to begin industrial action next month in a dispute over pay and working hours. Unite calls for ‘strategic state support’ in oil and gas industryUnite has repeatedly criticised offshore oil and gas companies for using the recent downturn to impose regressive working practices across the North Sea. Not yet a member of Unite the Offshore union The Union for workers in the North Sea? Overwhelming vote in favour of strike action demonstrates the fury at Total’s proposals to impose changes to the working practices and conditions on its three platforms. workers on the Alwyn (pictured), Elgin and Dunbar platforms are balloting on industrial action. Unite the union has today (5 July) announced a series of strike days on the North Sea oil and gas platforms operated by Total E&P. Following the overwhelming mandate for industrial action, there will be a series of 24 hour and 12 hour stoppages on the three platforms affected (Alwyn, Dunbar and Elgin), all of which will be forced to cease production. There will also be a continuous ban on overtime commencing at 00.01 hours on 23 July. The dispute concerns the company’s wage review and its plans to force workers to increase their offshore working time. A report by Robert Gordon University identified that workers on three-week, equal-time rotas were nearly twice as likely to experience ill health as those on two-on-two-off shifts. The three on/three off rota pattern is now worked by 56 per cent of the workforce offshore, compared with just 17 per cent working the same pattern in 2007. • Starting at 06.00 hours on 23 July, 6 August and 20 August. • Starting at 12.00 hours on 30 July and 13 August. Unite members employed at Total’s Shetland gas plant have also voted for industrial action in a dispute over changes to their rota system. For more information contact Wullie Wallace on 01224645271 or 07712444952. Offshore trade union Unite has announced that strikes will go ahead on three of French oil giant Total’s North Sea rigs in a dispute over pay and working hours. The Alwyn, Dunbar and Elgin platforms will see workers down tools in a series of 24 hour and 12 hour strikes. Unite said in a statement that a continuous ban on overtime will also take place commencing at 00.01 hours on 23 July. The 24 hour stoppages will begin at 06.00 hours on 23 July, 6 August and 20 August with the 12 hour stoppages starting at 12.00 hours on 30 July and 13 August. Unite regional officer Wullie Wallace said: “The overwhelming vote in favour of strike action demonstrates the fury at Total’s proposals to impose changes to the working practices and conditions on its three platforms. The dispute centres on a wage review outlined by Total and concerns that it may force workers to increase offshore working time. Jean-Luc Guiziou, Managing Director of Total E&P UK, said: “Our workforce at the Shetland Gas Plant and on the Elgin, Alwyn and Dunbar platforms do a very good job and we will do our best to work towards a resolution of this dispute. I know from talking to our workforce that we can find a negotiated solution. “We have started a structured process of meetings and workshops that will hopefully allow us to reach a consensus. By moving to a 3/3 rota, we’ll be in a much stronger place to grow our business and increase operational excellence. “Our objective is to seek a rota system that both enhances overall safety and is the most efficient – in this way we will ensure the long term sustainability of our business in the North Sea. Last week, Unite said workers on the three rigs had voted “overwhelmingly” in favour of strike action, while providing a 100% “mandate” for industrial action short of strike. Tensions were raised last week when Total decided to increase security after a week of rancour with staff concerning a wage review, feared changes to shift patterns and anger over the firm’s plans to hold a barbecue in the midst of redundancies. In an internal release to staff on Friday, Total said it would introduce “security measures” at its headquarters in Westhill, Crawpeel House in Aberdeen, Shetland Gas Plant and its warehouses and quayside. Pat Rafferty, Scottish Secretary of the Unite trade union, says he does not believe employers have learned enough from the disaster. In fact he fears things are now heading in the wrong direction from the perspective of worker safety. The Cullen report “should have led to significant changes in the oil and gas sector that would protect workers in the future and make the industry safer,” he says. “Instead, 30 years on, we have witnessed an industry that is driven increasingly by cost reductions, with corners and jobs being cut to save money. “What is more disgraceful is that we now know that Piper Alpha could have been avoided. “The accident was caused by cost-driven decisions. And when costs become more important than safety, Piper Alpha shows that the result can be catastrophic. “This is where workers who raise issues around health and safety find there is no more work for them”, said Mr Rafferty. “This fear of speaking out is another damning indictment of the culture which still exists and shows employers have learned little from Lord Cullen’s report. “As a young man just starting his career offshore, he was working on the Sedco 714 Semi Sub Drilling Unit the night tragedy struck. “He recalls radio communications coming out over the airwave channels and everyone tuned in to listen for updates on Piper Alpha and this still haunts him. “He can recall friends lost. His own neighbour lost her husband, which left their children without a father. Partners, husbands, fathers, grandfathers and brothers, all lost. “The tragedy has left a lasting legacy. “The sad thing is he believes it could happen again. “He speaks about a lack of communication today. Of low morale and the intense work pressures that are leading to safety-critical work being missed. But we now have an added risk: inexperience. That situation, he believes, is being further worsened by the recent introduction of three-weeks-on and three-weeks-off shift rotas. He said: “That will only add to the pressures on workers. “A recent report by Robert Gordon University for the Offshore Contractors Association (OCA) highlights the mental and physical exhaustion felt by those on the newer three-week shifts. “It also raised concerns about the impact on workers’ wellbeing, and blamed the change for making health issues worse. “We must never forget the lessons of Piper Alpha. “But 30 years on, we should have learned something and it doesn’t look like offshore employers have. “The Workers’ Memorial Day has a strapline: remember the dead, fight for the living. We do remember; we will never forget. It may be time to lohttp://www.unitetheunion.org/growing-our-union/joinunite/ok at introducing trade union trained Health &Safety reps into the #North Sea to add value to the already established high safety regulations and protocols that are already in place. You can never have too much safety as the workers deserve it. French oil giant Total will step up security at its north-east facilities amid protest concerns after a week of high-profile disputes with staff over pay and hours, which resulted in a vote in favour of strike action. Total’s decision to increase security comes after a week of rancour with staff concerning a wage review, feared changes to shift patterns and anger over the firm’s plans to hold a barbecue in the midst of redundancies. In an internal release to staff yesterday, Total said it would introduce “security measures” at its headquarters in Westhill, Crawpeel House in Aberdeen, Shetland Gas Plant and its warehouses and quayside. The letter said security stationed at Total sites will “remain vigilant” to “ensure any potential protest remains peaceful”. Last night a trade union spokesman branded the decision “ridiculous” and called Total’s proposed actions “disrespectful” to staff. Unite regional officer John Boland said: “It seems like they’re expecting us to storm the buildings or something. We haven’t even put in the industrial action notices yet. “This seems to be an overreaction by Total. Total refused to comment yesterday but the decision is thought to centre on protest threats made by political activists on social media over the last few days. The French firm intends to switch schedules from two weeks on, three weeks off, to three on, three off. It is also making around 300 onshore staff members redundant as part of the process of integrating Maersk Oil, a recent acquisition. Much of the anger from workers has been directed at Total’s new UK boss, Jean-Luc Guiziou, who unions blame for a perceived attempt to force through changes to wages and working hours. Asked if offshore workers unions are planning protests at Total sites, Mr Boland Unite the Union regional officer said: “As of now we have got no protest planned at Total facilities. “Certainly, if we did have any protests planned, we would go through the normal procedures such as informing the police. “The last thing we would do is put anybody at risk. Members of Unite, the UK’s largest union, employed by Total E&P working on North Sea oil and gas platforms are set to begin industrial action next month in a dispute over pay and working hours. If strike action goes ahead Unite believes that the three platforms affected (Alwin, Dunbar and Elgin) will be forced to cease production. The dispute concerns the company’s wage review and its plans to force workers to increase their offshore working time. The membership voted overwhelmingly in favour of strike action and there was an even clearer (100 per cent) mandate in favour of industrial action short of strike. Unite is currently in the process of consulting members about what type of industrial action will be called and when. Dates for industrial action are expected to be announced early next week, with strikes beginning in July. Unite regional officer Wullie Wallace said: “The overwhelming vote in favour of strike action demonstrates our members’ anger at Total’s proposals. “Our members simply want to be properly paid for the work they undertake in a dangerous and difficult environment. “Total’s plans to force workers to spend even longer offshore would drive a coach and horses through workers’ work/life balance and would result in them spending even less time with family, friends and loved ones. This raises serious health and wellbeing concerns. The latest ballot result puts further pressure on the company. Last week Unite members employed at Total’s Shetland gas plant voted for industrial action in a dispute over changes to their rota system. Unite, the UK’s largest workers’ union, said its members working for Total E&P on offshore platforms in the UK would begin industrial action in July in a dispute over pay and working hours, as Total is reportedly planning to have workers spend more time offshore. “If strike action goes ahead Unite believes that the three platforms affected (Alwin, Dunbar, and Elgin) will be forced to cease production. The dispute concerns the company’s wage review and its plans to force workers to increase their offshore working time,” Unite said. Unite said it was “currently in the process of consulting members” about what type of industrial action will be called and when. Dates for industrial action are expected to be announced early next week, with strikes beginning in July, the union said. Also, Unite said that last week Unite members employed at Total’s Shetland gas plant voted for industrial action in a dispute over changes to their rota system. “Infuriated” workers on three of Total E&P UK’s North Sea platforms have launched a ballot on industrial action. Offshore union Unite has started the vote for workers on the Alwyn, Elgin and Dunbar platforms. Unite said it comes after Total rejected a proposal to reduce the number of “claw-back” days, which were given up for no extra payment to help the company at the height of the oil downturn.